As Tennessee has climbed in national rankings of academic performance, many people from elsewhere have asked why the state has made so much progress. The answer is not just what was done but how it was done. 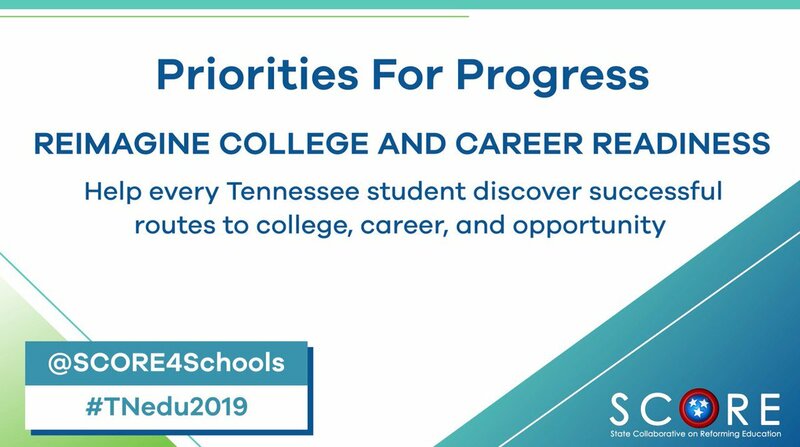 The Tennessee way of addressing education improvement began in 2009 with A Roadmap for Student Success that outlined Tennessee-specific solutions to meet the needs of Tennessee students. The Tennessee Department of Education plan for the Every Student Succeeds Act (ESSA) continues this successful approach. SCORE reviewed the ESSA plan in depth and gave extensive feedback to the Tennessee Department of Education, and many other education advocates have engaged and offered comments as well. We know of no other state that has so fully embraced the concept that a better plan could be developed with wide-ranging public review and input. A commitment to transparency and engagement is integral to the Tennessee way. • The plan takes accountability to the school level and will give parents, educators, and the community deeper insight into how well a school is serving the many different types of students enrolled there. Achievement gaps are a persistent problem in Tennessee, and they hamper the state’s work to be among the best of the best for academic performance. The Tennessee ESSA plan is emphasizing using a broad set of indicators to measure academic success for rural students, students of color, low-income students, students with disabilities, and English learners. • The plan lays out a clearer and more comprehensive approach to turning around longtime low-performing schools. First, it gives districts more opportunities to develop their own plans for school improvement plus it provides support from the state to carry out those plans. Second, if those efforts are not successful, the state-run Achievement School District will step in with a plan to better serve the students. • The new “ready graduate” indicator is an innovative way to clearly connect K-12 accountability to Tennessee’s Drive to 55 goal. In addition to graduation rates, high schools will be measured by how many of their students are ready for postsecondary education by either achieving an ACT score of 21 or completing four early-postsecondary opportunity (EPSO) courses, such as Advanced Placement and career/technical education classes, or earning industry certification and completing two EPSO courses. A decade ago, citizens across Tennessee resolved to do better for the state’s students and stepped up to deal with engrained and daunting education problems. With educators in the lead, Tennessee has shown courage and creativity in tackling the complicated problems holding back schools and students. Following the Tennessee way, this ESSA plan takes another step toward the goal of preparing every student for success after high school. Download a copy of the Tennessee ESSA plan.